UA Cossatot selected ten students from various UA Cossatot student organizations to attend a student leadership retreat on April 5 to April 6 at the Rick Evans Grandview Prairie Conservation Education Center in Columbus, Arkansas. UA Cossatot hired Brad Phillips to coach men and women’s basketball as the college joins the NJCAA (National Junior College Athletic Association). UA Cossatot is announcing that summer and fall registration is now open for enrollment. UA Cossatot strives to promote causes that are important. UA Cossatot announces the first annual Miss UA Cossatot Scholarship Pageant to be held at the historic UA Cossatot Bank of Lockesburg Gymnasium on Saturday, April 27, 2019, at 7 PM. On March 27, 2019, UA Cossatot hosted a blood drive at its Lockesburg campus from 3:30 PM to 7:30 PM. The University of Arkansas Cossatot introduces Colts Club Surfing as a sports option for students for fall 2019. After watching her grandfather work as a first responder, Hannah Pate was inspired to follow in his footsteps. UA Cossatot held its first annual Nursing skills Competition for LPN Nursing students on March 15, 2019. Open Textbook Network (OTN) presenters Michelle Reed and Jasmine Roberts led workshops for UA Cossatot faculty and OER partners at De Queen on March 15th. UA Cossatot joined the Save AR Students campaign to take on Opioid Awareness Week. UA Cossatot Student Ambassadors traveled to Little Rock to observe, tour, and learn about state legislature responsibilities at the Capitol on February 26. The Board of Visitors met at UA Cossatot’s Lockesburg campus to discuss and review recent and upcoming information. UA Cossatot hosted over 1,000 high school students from across the state at the 8th Annual Colts Classic FFA Career Development Event on Friday, February 15th. UA Cossatot agriculture students attended the Arkansas FFA Alumni State Conference hosted at SAU in Magnolia on January 18-19, 2019. UA Cossatot’s January Board of Visitors meeting began with Senator Barbara Horn being bestowed the rank of UA Cossatot Board Member Emeritus. The University of Arkansas Cossatot Foundation received a donation from Martin Marietta in Cove, Arkansas to fund an industrial maintenance scholarship for UA Cossatot students. University of Arkansas Cossatot Office of the Registrar released fall 2018 graduates. 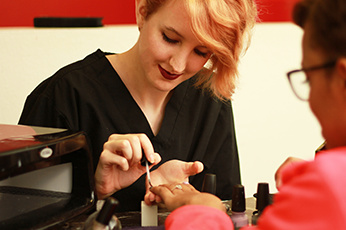 231 students graduate with a Certificate of Proficiency, Technical Certificate, or Associate degree. Some students earned multiple certificates and degrees. The University of Arkansas Cossatot held a pinning ceremony for the Occupational Therapy Assistant Program graduates Saturday, December 1, 2018. The University of Arkansas Cossatot held a pinning ceremony for Arkansas Rural Nursing Education Consortium (ARNEC) LPN/LVN-to-RN transition program graduates on Saturday, December 1, 2018. The University of Arkansas Cossatot Foundation received a Legacy 2020 capital campaign donation from Ms. Julie Brown of De Queen. University of Arkansas Cossatot Office of the Registrar released fall Chancellor and Vice Chancellor’s lists. The University of Arkansas at Cossatot inducted thirteen college students into the 2019 Student Ambassadors Class at a ceremony held at the UA Cossatot Weyerhaeuser Room on Friday, December 14. Weyerhaeuser donates $10,000 to the University of Arkansas Cossatot Foundation for the development of a pump transfer training system for the Lockesburg Industrial Maintenance Institute (LIMI). The University of Arkansas Cossatot is now offering a new Criminal Justice Technical Certificate Program. The program prepares students to enter into the Criminal Justice field as a dispatcher/jailer. This most recent IPEDS report lists UA Cossatot as having the fourth highest graduation rate in Arkansas. The University of Arkansas Cossatot Foundation received over $13,000 in donations from Southwest Arkansas community members during #GivingTuesday on November 27, 2018. The University of Arkansas Cossatot Foundation received a third Legacy 2020 capital campaign donation from Horatio State Bank. According to a recent assessment by the TechForce Foundation, the US trucking industry needs nearly 300,000 new technicians over the next 10 years to meet demand. The University of Arkansas Cossatot will offer Diesel Technology courses starting January 2019 to address this need. The University of Arkansas Cossatot was awarded for Improving Institutional Efficiencies with their new Textbook Program by the Arkansas Department of Higher Education (ADHE). Instead of renewing a lease with a book vendor, the college created its own textbook program. The University of Arkansas Cossatot Financial Aid Department will host FAFSA Fridays on the first two Fridays in December. The University of Arkansas Cossatot Campus Policemen Jason Curtis and Monte Stringfellow were presented Distinguished Service Awards for five years of service to the college at the UA Cossatot November Faculty/Staff Meeting. Spring 2019 classes and financial aid are open for enrollment for new and continuing students at the University of Arkansas Cossatot in Ashdown, De Queen, Nashville, and online. The Southwest Arkansas Planning & Development District and Sevier County Economic Development announce winners of a recent contest featuring photographs that showcase Sevier County in Southwest Arkansas. University of Arkansas Cossatot Director of Student Services Suzanne Ward, of Ashdown, graduated from the Arkansas Community College Leadership Institute at a reception held at the annual Arkansas Community Colleges conference at the Little Rock Marriott in October. The University of Arkansas Cossatot honors Marvin Terrell, of Nashville, as 2018 Outstanding Faculty and Christine Vertiz, of De Queen, as 2018 Outstanding Staff at an award ceremony held at the annual Arkansas Community Colleges conference at the Little Rock Marriott. The University of Arkansas Cossatot honors Fernando Balderas, of De Queen, as 2018 Outstanding Alum and Andrea Jones, of Foreman, as 2018 Academic All-Star at an award ceremony was held at the annual Arkansas Community Colleges conference at Little Rock Marriott. The University of Arkansas Cossatot Foundation received a Legacy 2020 capital campaign donation from UA Cossatot Medical Education Instructor Kay Trotta of De Queen. For the fifteenth year in a row, the University of Arkansas Cossatot provided lunch to the participants of the Disabled Youth Deer Hunt on the Jones Ranch located near Mineral Springs. The University of Arkansas Cossatot will host a job fair in the atrium of the Nashville Campus at 1558 Hwy 371 West, Nashville, AR on November 1, 2018 from 9:00 am to 1:00 pm. Medical, banking, poultry, paper, trucking, and other industries from Howard, Little River, and Sevier Counties will be represented to discuss part-time and full-time employment and internship opportunities. 250 students and community members were served during the University of Arkansas Cossatot’s Center for Student Success two-hour health fair providing free flu shots and health education on October 18, 2018 at the De Queen campus and on October 25 at the Nashville campus. At an open house event on October19, 2018, the University of Arkansas Cossatot Lockesburg Industrial Maintenance Institute (LIMI) was praised as a model for the rest of the state and a successful collaborative educational effort among higher education, K-12 institutions, local industries, and state agencies by key industry, government, and education leaders. The Mexican Consulate to Little Rock Mobile Office served over 230 people while housed at the University of Arkansas Cossatot De Queen Campus from October 16 - 19, 2018. The University of Arkansas Cossatot held it’s annual college fair for 270 high school juniors and seniors from Howard, Little River, Sevier counties at the UA Cossatot Bank of Lockesburg Gymnasium on October 18, 2018. The University of Arkansas Cossatot’s Center for Student Success held one of its two health fairs providing free flu shots on the De Queen campus on Thursday, October 18, 2018, for two hours with a total of 138 benefiting from such services. The University of Arkansas Cossatot honored staff and faculty members for 5, 10, and 20 years of distinguished service during the college’s October Faculty/Staff Meeting. Recipients are Christine Vertiz, Susanne Ward, Erika Buenrrostro, and David Sirmon. The University of Arkansas Cossatot, De Queen Sevier County Chamber of Commerce, and Sevier County Rural Development Authority present Amy Meadows, owner and creator of Windows Matter, in a free dinner-time presentation about eye-catching, sales-driving visual merchandising strategies on October 25, 2018, at 6:00 pm in the UA Cossatot Skills Trades Building at 183 College Drive in De Queen. On Friday, October 19 at 11:00 a.m., the Lockesburg Industrial Maintenance Institute (LIMI) at 128 E. Main, Lockesburg, will host an Open House, offering tours, refreshments and the opportunity to visit the site of an area-wide collaborative educational effort among UA Cossatot, area K-12 institutions, local industries and the Arkansas Career and Technical Education Division (CTE). The Arkansas Single Parent Scholarship Fund of Howard County awarded seven scholarships at a luncheon hosted at the University of Arkansas Cossatot Nashville campus on September 21, 2018. University of Arkansas Board of Trustees Chair Mark Waldrip and his wife, Angela, recently visited UA Cossatot campuses in De Queen and Lockesburg. The University of Arkansas Cossatot Foundation chartered and welcomed seven new members to the Young Alumni Board at a video conference held on August 14, 2018. Tamla Heminger and Ramesh Muthukumarana recognized for developing a technology-rich, engaging, and pedagogically sound course. The University of Arkansas Cossatot and the Sevier County Economic Development Director would like Sevier County business owners to complete an online Business Inventory Form linked at www.cccua.edu/sevier. Eleven University of Arkansas Cossatot Colts Basketball players signed letters of intent at an event on September 12, 2018, at the UA Cossatot Bank of Lockesburg Gymnasium. The University of Arkansas Cossatot Board of Visitors met for a regularly scheduled meeting on September 10, 2018, at the UA Cossatot Nashville campus. The University of Arkansas Cossatot collegiate FFA chapter in De Queen, Arkansas has been awarded a Fall Semester-Long Living to Serve Grant for $1,200. The University of Arkansas Cossatot offers welding and pipe welding 8-week courses that begin on October 8, 2018. The University of Arkansas Cossatot Physical Therapist Assistant Program will host a continuing education course for physical therapists, occupational therapists, speech-language pathologists, physical therapists assistants, and occupational therapy assistants on March 9 and 10, 2019, on the Ashdown Campus. Tyson Foods, Inc. donated $500 to University of Arkansas Cossatot Colts Club Soccer to support men’s and women’s teams 2018 season. The University of Arkansas Cossatot Center for Student Success will host two free health fairs in October on the De Queen and Nashville campuses. The University of Arkansas Cossatot Collegiate FFA student organization announces four officers and five scholarship recipients. Gentry Chevrolet recently donated to the University of Arkansas Cossatot Foundation Legacy 2020 capital campaign. The University of Arkansas Cossatot offers general education, welding, and pipe welding 8-week courses that begin on October 8, 2018. Domtar’s mill in Ashdown donated $20,000 to the University of Arkansas Cossatot’s newest project, the Lockesburg Industrial Maintenance Institute (LIMI). The University of Arkansas Cossatot Center for Student Success will host a free home buyer’s seminar on August 30, 2018, at 5:30 pm on campuses in Ashdown, De Queen, and Nashville. The University of Arkansas Cossatot honored staff and faculty members for 10, 15, 20, and 25 years of distinguished service during the college’s fall in-service. Recipients are Brenda Morris, Tammy Coleman, Charlotte Johnson, Mike Kinkade, Kelly Plunk, Laura Riddle, Linda Young, Karen Arbuckle, Ashley Aylett, Crystal Bell-Hunter, Toni Wartinger, and Tim Whisenhunt. The American Electric Power (AEP) Foundation donates $30,000 to the University of Arkansas Cossatot Foundation to purchase industrial technology training equipment for the Lockesburg Industrial Maintenance Institute (LIMI). Online and in-class fall courses begin on August 13, 2018, and registration closes on August 14 at 4:00 pm; however, classes are filling quickly. Ninety people attended a college basketball team fundraiser hosted by the University of Arkansas Cossatot Foundation on July 20, 2018, at the UA Cossatot Bank of Lockesburg Gymnasium. The University of Arkansas Cossatot pinned 26 new Licensed Practical Nurses (LPN) in a pinning ceremony on June 22, 2018, at 6:00 pm at the UA Cossatot Bank of Lockesburg Gymnasium. The De Queen/Sevier County Chamber of Commerce presents Despicable Me 3 at the University of Arkansas Cossatot Amphitheater on Saturday, July 21, 2018, at 8:30 pm. The University of Arkansas Cossatot Textbook Rental/Open Educational Resource (OER) Program has saved students $1,047,949.23 in the past three years. The University of Arkansas Cossatot and the City of De Queen have finalized a memorandum of understanding (MOU) for the creation of a community walking trail. The University of Arkansas Cossatot Center for Student Success held its first WE CAN summer student success program on the De Queen Campus at the beginning of June 2018. UA Cossatot and AEDI would like Sevier County residents to participate in the planning stage of the ACCESS community development initiative at a public forum on Thursday, July 12, 2018, at 6:00 pm in the De Queen High School Cafeteria. The Regional Advanced Manufacturing Partnership (RAMP) Continuation grant is approved by the Arkansas Department of Higher Education (ADHE) and is managed by the University of Arkansas Cossatot. The University of Arkansas System Board of Trustees, in a regularly scheduled meeting, ratified the appointment of Angie Walker to the UA Cossatot Board of Visitors. The University of Arkansas Cossatot is expanding its Industrial Maintenance programming in Fall 2018 to serve high school and college students. The United States National Park Service, at a May 2018 meeting, officially listed the UA Cossatot Bank of Lockesburg Gymnasium on the National Register of Historic Places. The family of the late Adrienne E. Butler of Horatio, Arkansas, honors her memory with a memorial scholarship through the University of Arkansas Cossatot Foundation. Michael and Jackie Wright, residents of Nashville, Arkansas, and employees of the University of Arkansas Cossatot, recently established the Cawood-Wright Scholarship. The University of Arkansas Cossatot is proud to announce the recipients of the Regional Advanced Manufacturing Partnership (RAMP) Scholarships. The Mexican Consulate to Little Rock Mobile Office served an estimated 500 people while housed at the University of Arkansas Cossatot De Queen Campus from May 15 to 20, 2018. Applications for the Arkansas Geographical Critical Needs Minority Teacher Scholarship Program are now available for the Fall 2018/Spring 2019 semester. The UA Cossatot ERC on UA Cossatot campuses now offers free tutoring for students all hours of the day, every day of the week. UA Cossatot receives a Resusci Anne CPR unit presented by the Arkansas Automobile Dealers Association and De Queen Auto Group, Inc. in partnership with the National Automobile Dealers Charitable Foundation. The University of Arkansas Cossatot, the Arkansas Economic Development Institute, and Sevier County leaders would like Sevier County residents to provide feedback about quality of life during upcoming community forums. The University of Arkansas Cossatot Office of the Registrar releases spring Chancellor’s List and Vice Chancellor’s List recognizing honor students. UA Cossatot will hold Men and Women’s Club Soccer tryouts on Saturday, May 26, 2018, from 1:00 to 3:00 pm at UA Cossatot Bank of Lockesburg Gymnasium. The University of Arkansas Cossatot Physical Therapist Assistant Program requested reconsideration following a previous adverse decision. The University of Arkansas Cossatot Office of the Registrar releases names of spring 2018 graduates and names of those graduating with honors. The University of Arkansas Cossatot Board of Visitors met on May 7, 2018, at UA Cossatot’s De Queen Campus. The University of Arkansas Cossatot honored staff and faculty members for 5, 10, and 20 years of distinguished service during the college’s May Staff/Faculty Meeting. Recipients are Tony Hargrove, Dawn Humphry, Sandra Griffin, Shawna Stinnett, Kelli Harris, and Relinda Ruth. The University of Arkansas Cossatot Center for Student Success will offer a free, bilingual Basic Computer Skills course in three parts on the Ashdown, De Queen, and Nashville Campus. The University of Arkansas Cossatot honored academic achievement among Latinos at the 4th Hispanic Night event on April 26, 2018. The University of Arkansas Cossatot Foundation now has $14,000 for student scholarships after a successful Fiesta Fest Cinco de Mayo celebration presented by Tres Agaves Mexican Restaurant in De Queen, AR. Over 360 University of Arkansas Cossatot students will be eligible to graduate at the college’s commencement ceremony on May 12, 2018. Arkansas Governor Asa Hutchinson presented the University of Arkansas Cossatot with a $13,750 Arkansas Motor Vehicle Commission Education and Training grant that will be used to purchase diagnostic equipment for diesel engines. The University of Arkansas Cossatot has named Vickie Williamson of Ashdown as the Director of Economic Development for Little River County. The University of Arkansas Cossatot Phi Theta Kappa honor society inducted fourteen members in a ceremony on Sunday, April 28, 2018.
a panel of industry representatives discussed job skills, employability skills, internships, and certifications with University of Arkansas Cossatot instructors, staff, students, secondary administrators, as well as AR Career Ed state staff members and Senate members, Larry Teague and Jane English. Rodolfo Quilantán Arenas, head consul of the Consulate of Mexico in Little Rock, will speak at the University of Arkansas Cossatot Foundation’s Cinco de Mayo celebration. AEP Southwestern Electric Power Company donated $1,500 to the University of Arkansas Cossatot Foundation to aid in student scholarships. Kay Cobb and Dustin Roberts were recognized for their dedicated service to UA Cossatot during the college’s March and April Staff/Faculty Meeting. You are invited to UA Cossatot Division of Skilled and Technical Sciences' spring 2018 advisory council meeting on April 19, 2018. The University of Arkansas Cossatot Foundation received a memorial gift from Monika Park and family in memory of the late Donald W. Park. The CHRISTUS Fund donated $20,000 to the University of Arkansas Cossatot in support of the Center for Student Success (CSS). The University of Arkansas Cossatot Foundation received a second Legacy 2020 capital campaign donation from the Chandler-Wishard family. 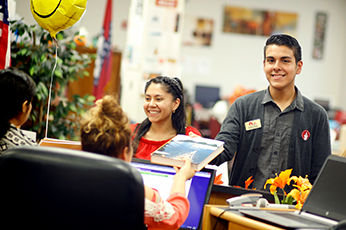 The U.S. Department of Education has named the University of Arkansas Cossatot a Hispanic-Serving Institution (HSI) for 2018-19, meaning that over 25% of full-time students identify as Latino. The University of Arkansas Cossatot announces its intention to hire a Coordinator of Intermodal Design and Economic Development for Little River County. The UA Cossatot Foundation Drawdown hosted on February 10, 2018, at the De Queen Country Club raised over $11,000 for scholarships and college projects in memory of Lawrence Chandler. The University of Arkansas Cossatot has won the Immunize Arkansas Campus Flu Vaccine Challenge. In the National Center for Education Statistics 2017 IPEDS report, UA Cossatot sees success in key areas compared to similar colleges. The University of Arkansas Cossatot Foundation received a second Legacy 2020 capital campaign donation from Horatio State Bank. The University of Arkansas Cossatot Foundation will host a drawdown benefit to raise funds for the Lawrence Chandler Memorial Scholarship. UAC will offer Colts Club Basketball as a sports option for students starting fall 2018. The University of Arkansas Cossatot Bank of Lockesburg Gymnasium is the 2017 Preserve Arkansas Excellence in Preservation through Restoration Honorable Mention award recipient. The University of Arkansas Cossatot has named Lisa Taylor of De Queen as Economic Development Coordinator for Sevier County. The University of Arkansas at Cossatot inducted nine college students into the 2018 Student Ambassadors Class at a reception held at the UA Cossatot Bank of Lockesburg Gymnasium. University of Arkansas Cossatot Office of the Registrar releases fall Chancellor and Vice Chancellor’s lists. UA Cossatot releases names of fall 2017 graduates and names of those graduating with honors. UA Cossatot is one of only five programs nationwide that received the 2017 National Association of Agricultural Educators Outstanding Postsecondary/Adult Agricultural Education Program Award. The Mexican Consulate in Little Rock donated $5,000 to the University of Arkansas Cossatot for scholarships benefitting students of Mexican origin. UA Cossatot has received a $100,000 grant from the Sunderland Foundation for renovations to the Lockesburg High School Campus for industrial technology training. Over 200 Southwest Arkansas community members provide 10,500 meals and $8,000 for scholarships and programs during the University of Arkansas Cossatot Foundation #GivingTuesday campaign on November 28, 2017. University of Arkansas Cossatot's #GivingTuesday plans include raising money for the UAC Foundation and packing meals for students in need. Wilkerson Funeral Home of De Queen has donated to the University of Arkansas Cossatot Foundation Legacy 2020 capital campaign. UA Cossatot has honored Tony Hargrove as Outstanding Staff and Tabetha Nguyen as Outstanding Faculty at an award ceremony at the 2017 Arkansas Community Colleges conference at Little Rock Marriott. UA Cossatot honors Ernesto Echevarria as 2017 Outstanding Alum and Eduardo Medina is the 2017 Academic All-Star. Aylett and Riddle graduate from the Arkansas Community College Leadership Institute. UAC has renamed the Workforce Education Center on the Little River campus to Domtar Center for Workforce Excellence. Treasure seekers, 5k runners, fall lovers, and ArkLaTex families are invited for a weekend of fall festivities at the UA Cossatot Lockesburg Campus October 20 and 21 starting at 9:00 a.m. each day. Rep. DeAnn Vaught and local leaders met for an Economic Development Summit on the UA Cossatot De Queen and Ashdown Campus. UA Cossatot teamed up with local industry to conduct a Manufacturing Day event at the Nashville campus. Student from Cossatot is one of 207 Phi Theta Kappa members named a 2017 Coca-Cola Leaders of Promise Schola. UAC announced that its cutting-edge textbook program enabled students to save an estimated $500,000 since 2015. The University of Arkansas Cossatot Men and Women Colts Club Soccer teams will host home games at Scrapper Stadium in Nashville, AR through the month of September. The college recently hired two UA Cossatot graduates, Jocelin Galvez and Daniel Martinez. UAC has been named third in best value of all online colleges and programs in the nation by AffordableColleges.com. UA Cossatot, RDA of Sevier County, Sevier County Industrial Board, and Sevier County Judge’s Office have partnered to hire an Economic Development Coordinator for the county. UA Cossatot Chancellor Dr. Steve Cole and his wife Leslie Cole donate to UA Cossatot Foundation's Legacy 2020 Campaign. Tyson Foods, Inc. of Nashville sponsored meals for Colt Kicker new student orientation events at the University of Arkansas Cossatot. The WoodmenLife organization donated flags and $250 to the UA Cossatot. The University of Arkansas Cossatot published a plan guiding the college’s purpose and operations through the year 2020. The UAC Leeper Building foyer will be renamed "Revels & Company CPAs Foyer." UA Cossatot held the 2017 Licensed Practical Nursing pinning ceremony in the UA Cossatot Bank of Lockesburg Gymnasium on June 23rd at 6:00 p.m.
UA Cossatot and Texas A&M University Texarkana now have an agreement that will allow UAC business graduates to transfer with junior standing to business programs. York Gary Autoplex of Nashville has donated to the UA Cossatot Foundation’s Legacy 2020 capital fundraising campaign. University of Arkansas Cossatot will host the community at a come and go open house on Saturday, June 17 from 10:00 a.m. to 1:00 p.m. at the UA Cossatot Bank of Lockesburg Gymnasium. Students pursing high-demand or STEM degrees at University of Arkansas Cossatot may now complete the Arkansas Future (ArFuture) grant program application. At the latest meeting of the ADHE Coordinating Board, University of Arkansas Cossatot’s new transfer communications degree leading to movie, radio, and journalism careers was approved. Tyson Foods announces the launch of 10 part-time internship positions in connection with the UA Cossatot. UA Cossatot awarded three students the Regional Advanced Manufacturing Partnership Grant (RAMP) Industrial Technology Scholarship. Arkansas Natural and Cultural Resources Council awarded the college a $225,000 grant to restore Lockesburg High School. Over 400 UA Cossatot students will be eligible to graduate at the college’s commencement ceremony on May 13, 2017. UA Cossatot students enrolled in Secondary Career Center high school programs and college level technical programs attended the annual Arkansas Skills USA Convention and Competition recently held in Hot Springs. Governor Asa Hutchinson will speak to Diversity Fest attendees on May 6, 2017 at the UA Cossatot Amphitheater in De Queen. UA Cossatot Agriculture program hosted GIS Day featuring agriculture industry experts to discuss the use of geographic information system (GIS) technology in farming and land assessment with area educators. UA Cossatot will host its 7th Annual College Rodeo at the Four States Fairgrounds in Texarkana, AR on April 27, 28, and 29. UA Cossatot honor society, Phi Theta Kappa, inducted fifteen new members in a ceremony on Sunday, April 9, 2017. UA Cossatot Collegiate FFA chapter was selected to receive a Tractor Supply Company and the National FFA Foundation Grant for Growing in the amount of $3,000. The UAC Adult Education program recently submitted a Request for Proposal (RFP) to continue the program for two additional years by receiving state and federal funds. Centerpoint High School and UA Cossatot administration have finalized an agreement that will enable Centerpoint students to leave CHS with both a high school diploma and an Associate of General Studies degree. The UA Cossatot Foundation will earn bonus dollars for every gift given from 8 a.m. to 8 p.m. on April 6, 2017 through ArkansasGives.org. Thanks to a $500 sponsorship by Pilgrim’s, students can now take the Official GED® test at no cost. University of Arkansas Cossatot recently named Emily Newlin as Director of Institutional Advancement. Support scholarship making for students in need on April 6, 2017 at ArkansasGives.org. The Legacy 2020 Campaign, a capital fundraising project of UA Cossatot Foundation, has received a donation from First State Bank of De Queen. Lockesburg Lions Club raises $3,000 to benefit the UA Cossatot Foundation. UA Cossatot faculty and staff hosted over 350 juniors from area high schools for “a day in the life of a college student” experience. The Legacy 2020 Campaign, a capital fundraising project of UA Cossatot Foundation, has received a donation from Dewayne and Janice Mack. Horatio State Bank has made a donation to the UA Cossatot Foundation's Legacy 2020 Campaign. UA Cossatot Colts Soccer team accepted a donation of $250 from Smartphone EMT. The latest graduation rates calculated for all the two-year schools in Arkansas show UA Cossatot has the third highest. UA Cossatot Foundation has kicked off the Legacy 2020 Campaign with an inaugural donation from the Bank of Lockesburg. Arkansas Business recently released their Top 40 Under 40 and named to the honor was Dr. Maria Markham from UA Cossatot. Arkansas Natural and Cultural Resources Council voted on and approved a proposal on Wednesday made by UA Cossatot staff that awarded the college a $175,000 grant that will be used to restore the old Lockesburg gymnasium. UA Cossatot inducts the new Phi Theta Kappa members. ​UA Cossatot hosted almost 1400 high school students from across the state at the 4th Annual Colts Classic FFA Judging Contest. The new student ambassadors for UA Cossatot’s Spring 2016 semester have been named and inducted. For many years, economists have shown the correlation between people who complete a college degree and the tendency for them to earn more than people who have not attended any college. Yet, the individual benefits are not the only considerations. For the 11th year in a row, UA Cossatot provided lunch to the participants of the Disabled Youth Hunt on the Jones Ranch located near Mineral Springs. UA Cossatot hosted legislators and Ashdown school administrators last Thursday on the Ashdown campus to see the programs offered to county high school students.